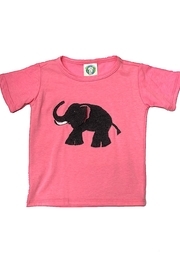 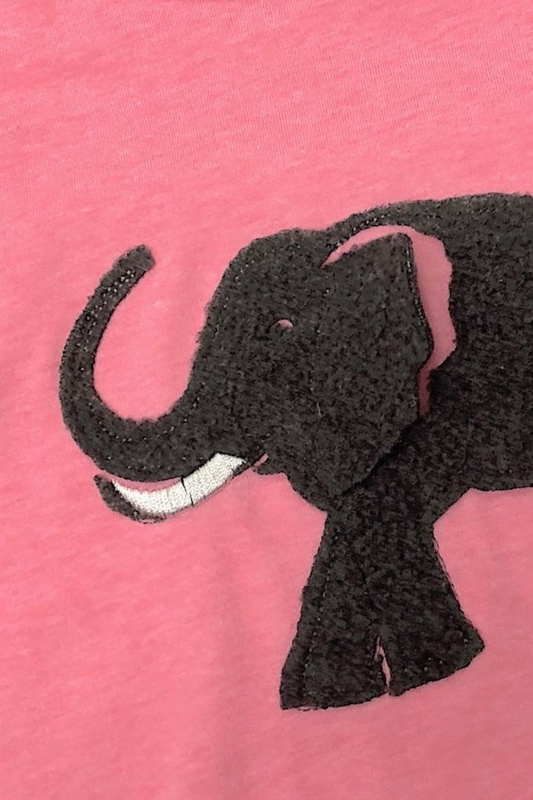 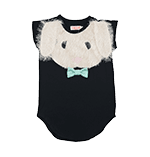 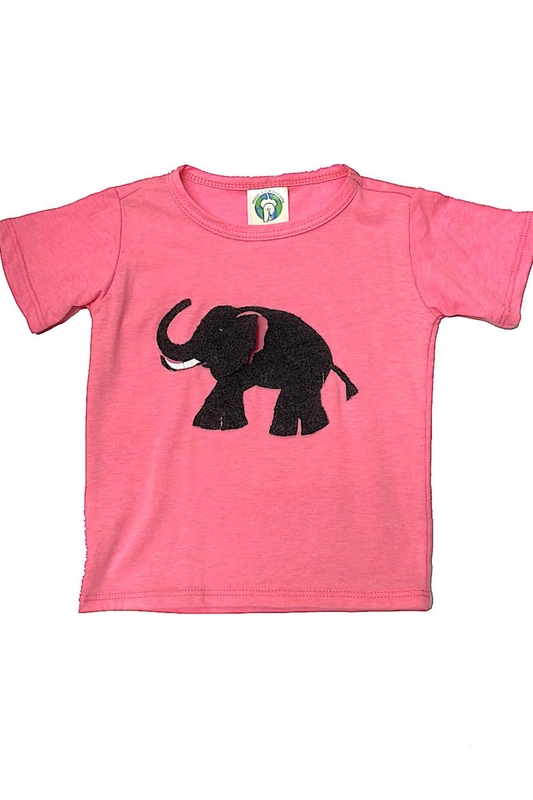 Pink cotton t-shirt with elephant appliqué made from soda pop bottles. 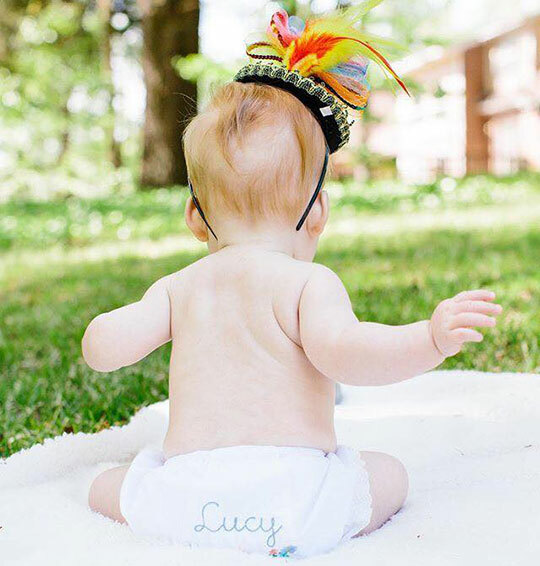 Elephant has embroidered white tusk and ear that pops open. 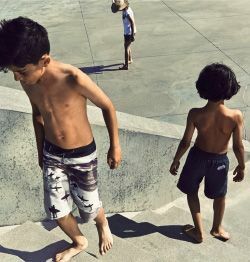 Made in Los Angeles.